One of the joys of being a freelance photographer is that I get to meet lots of amazing people, visit places I’ve not been to and get involved with things that wouldn’t normally cross my radar. The last ten days have seen me shooting corporate portraits, photographing volunteers trying out various learning activities for children, standing in the middle of Bury St Edmunds Parkway road photographing the council rejuvenating the central flower beds (I had to keep my wits about me for this one however the council made sure that the road was made safe for the work to take place without fear to life or limb), taking tea and photos with the High Sheriff of Suffolk (as you do) and last but not least helping to celebrate the history of the Suffolk Regiment’s Daffodil Day. 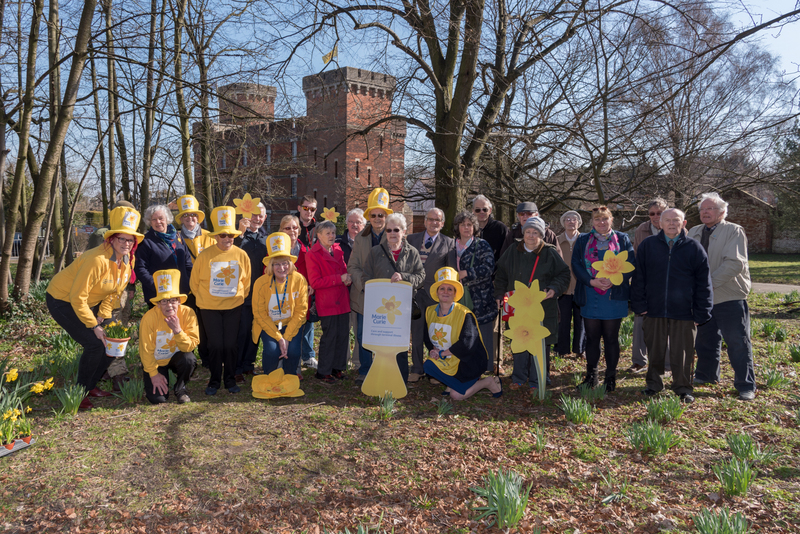 I’m not able to share many of the images with you yet but here is a photo from the Daffodil Day celebrations (due to safeguarding issues I can’t post images on this blog that include the schoolchildren who took part). It was a really happy and informative afternoon organised by Bury in Bloom, with both young and old getting together in the grounds behind the Suffolk Regiment Museum to check on how the daffodils, planted by Bury in Bloom in 2016, were getting along. The museum was offering guided tours and I managed to sneak in a quick visit myself before being plied with tea and biscuits by students from the local college. If you’re ever in the area when it’s open I can vouch that the museum is well worth a visit – do check it out. http://www.suffolkregimentmuseum.co.uk. I do like a bit of history and the official Daffodil Day on Wednesday 28th March keeps up a longstanding tradition. Years ago, when the site was the regimental depot, it opened its gates once a year to allow the public the chance to see how it operated and to view the daffodils in the grounds. Daffodil Day, as it became known, was a fixture in the calendar until 1959, when the Suffolk Regiment amalgamated with the Royal Norfolk Regiment, with the tradition being revived in 2009 and continuing today. I thoroughly enjoy getting involved with my local community. If you would like some photographs to record an event you are holding or taking part in, maybe also to accompany a press release, please get in touch for a chat. I’d love to be able to help you.